When people begin to think about Costa Rica their first thoughts are rainforest, volcanoes, beaches which are more or less tourism attractions and activities. 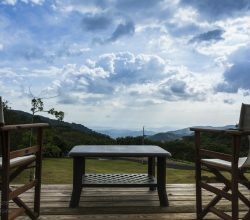 However, when considering buying property in Costa Rica for retirement or relocation, activities are great but what is really important is your lifestyle and sense of community. 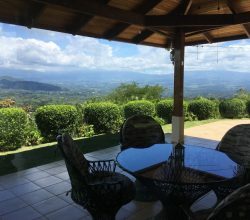 How is your lifestyle going to mesh with Costa Rican culture? How is your sense of community going to be realized? For example, a couple decides to buy beautiful mountain top ocean view lot and build a home. They idealize a life of living in the tropical rainforest of a exotic country and seek that vision. They spend their time, energy, and money into building their dream home and once it is done, living the lifestyle in their new home begins. 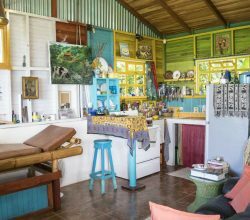 This is where many people stumble in their idea of living in Costa Rica. Spectacular views, often mean isolation and no neighbors. Like anyone else, their day would be filled with activities such as shopping, cleaning, eating, personal care but what about their lifestyle and community? What fills that void in Costa Rica in-between activities? Going back to our example couple, beautiful home, beautiful views but no neighbors and isolation means every activity must be planned and organized around the homes location. Therefore, their ideal lifestyle becomes centered on the homes location rather than on their original ideal lifestyle. This is okay for some people who are very private and seeking isolation but for most people, their home is where they live, entertain, and share their lives with their friends and family. Monterey Estates is a planned community where lifestyle and community is at the center of the development. Your home is located in an area which supports a lifestyle which either is new to you or continues one from back home. If you are a person who loves horses or want to begin to learn about horseback riding, there is a community equestrian center to learn, ride and care for your horses. If horses are what you enjoy or want to learn, Monterey Estates is giving a horse to the next ten buyers who purchase homes. What is most important when living in Costa Rica is to consider your lifestyle and daily living activities which defines your experience. Monterey Estates provides the backbone for you to come and live a realistic and practical lifestyle of your choosing. Community gardens, pools, trails, Tilapia ponds and more are available within your community. For a 20 minute drive to the south is world famous Manuel Antonio National Park and Quepos. Fifteen minutes to the north is Playa Hermosa and then Jaco Beach where traditional commercial services exist. Lots at Monterey Estates in the first phase range from 1/4 acre to 3/4 acre. Monterey Estates is a practical solution for most who want a planned and stable investing environment. Monterey Estates uses a BOLCOMER solution for purchasing property by holding property titles in trust during the construction which provides 100% security to your investment. Most reputable real estate brokers in Costa Rica know the Monterey project which has been around for years. 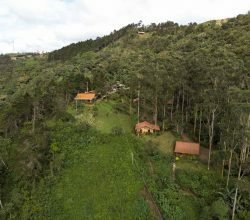 They are real developers who own the land, with real access, and real commitment to ecological development using solar power and established bio-preserves of pristine rainforest located outside your doorstep. Become a rancher, gardener, trail blazer or a expat maverick and live the lifestyle you choose in a community that supports you and like minded neighbors. Click here to view a newly released video about the Monterey Estates development and about Costa Rica. If you are interested in learning more about this ecofriendly community please visit the Monterey Estate in Esterillos information page. 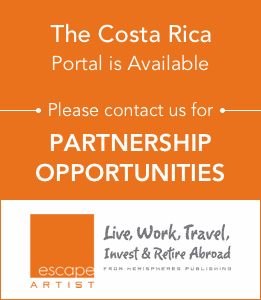 The Central Pacific coast of Costa Rica boasts some of the most beautiful property investment spots in all of Central America. 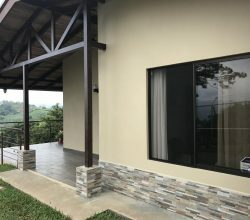 Become a owner of a home in a practical and ecological community located in Esterillos along the Central Pacific highway of Costa Rica and learn how to live the lifestyle with money to spare!